Literacy centres are a tool I frequently use in class to help build many of the early literacy skills children need to become good readers and writers. In Reception, many focus on building their phonemic awareness - lots of rhyme, syllables, beginning sounds, CVC words. 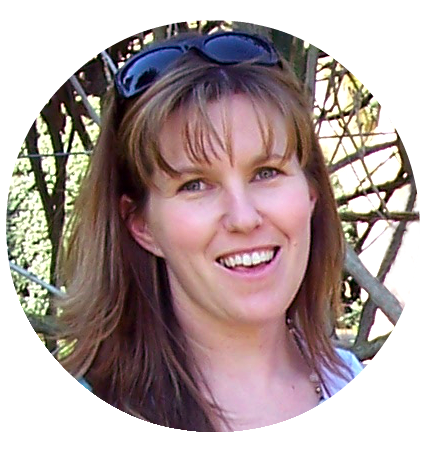 Looking for more ideas for your own literacy centres? Take a look here, here, here or here or just search the Literacy tab at the top of the page. I'm always looking for new ideas to use in our literacy centres to keep the engagement levels high in my classroom. 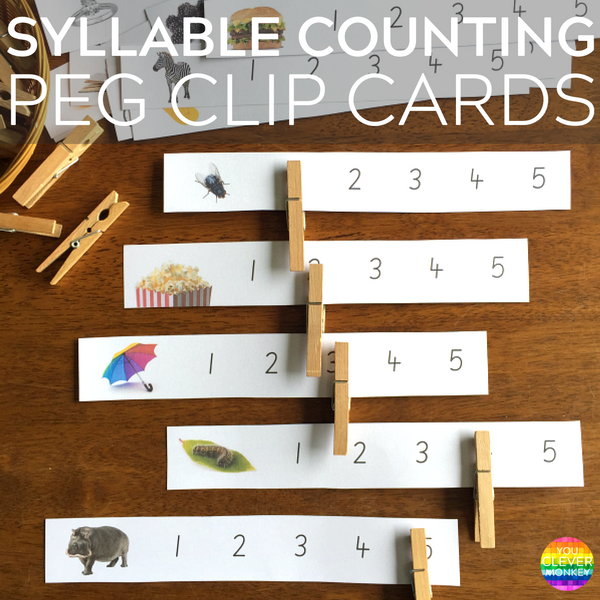 To help us practice our syllables, I've created these syllable sorting peg clip cards. They're simple to use. After looking at the picture, the children then count the number of syllables they can hear in the word. I've been teaching my students to touch each number as they count the syllables for this activity to make it easy to then work out where to place the clothes peg. 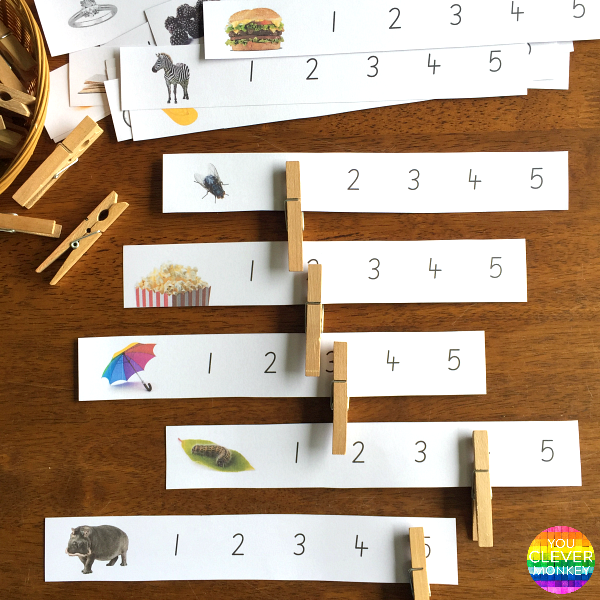 I've added clothes peg as they're perfect for strengthening small hands but you could use counters or other loose parts to mark the number of syllables. 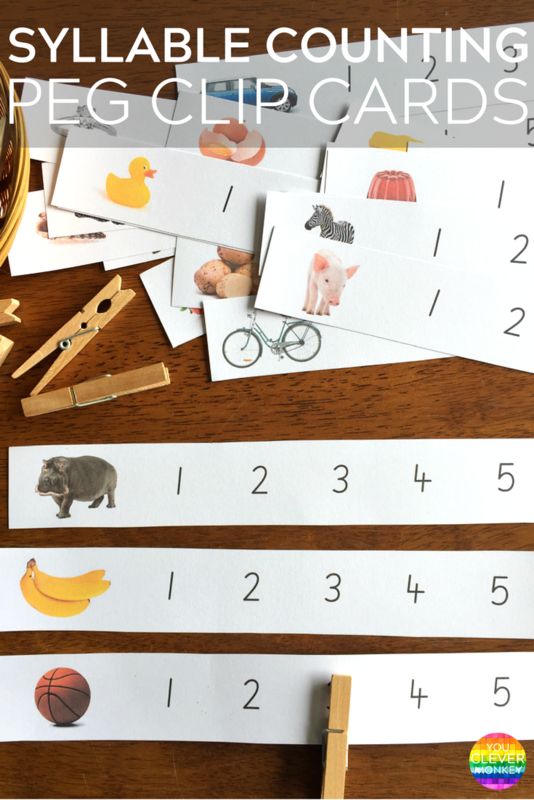 If you're looking for more hands-on ways to practice syllable counting, take a look at our other syllable sorting post and grab a FREE copy of these sorting mats. 20 different pages providing you with 80 cards! 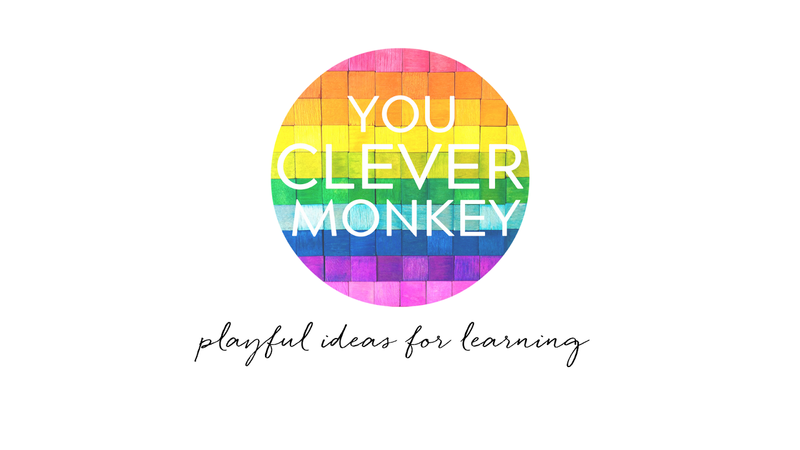 Perfect for small group or independent work in class. 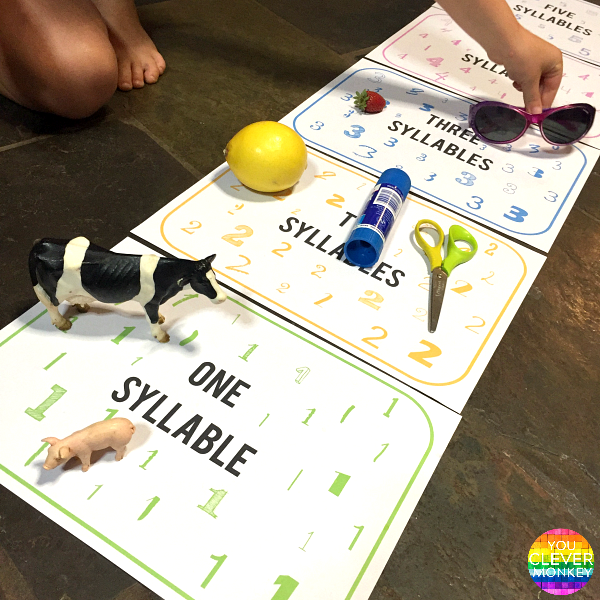 Don't forget to grab a copy of our FREE Syllable Sorting Mats too!